As the sun shines away with beautiful blue skies, I daydream about lazing beside a pool or cooling down at a water park. I believe that a water park really adds to any holiday, regardless of whether it is in the UK or abroad. From fast slides to a wave pool, private cabanas to a ‘beach’, there is something for everyone! I have visited a fair few water parks in my time and I can’t resist visiting them. It is a nice break away from the hustle and bustle of theme parks and rollercoasters. Instead you can get your adrenaline fix with the water slides or enjoy a relaxing journey in a lazy river. With so much to choose from, you won’t ever be bored. So, let’s crack on with my favourite water parks. I think if you were to ask people about Typhoon Lagoon, most would probably mention the insane wave pool. Honestly, you need to be a strong swimmer to withstand the powerful wave in the wave pool – reaching heights of 6ft! Of course, it is not just the wave pool that is the main attraction, there are plenty of water slides including the thrilling ‘Crush ‘n’ Gusher’. 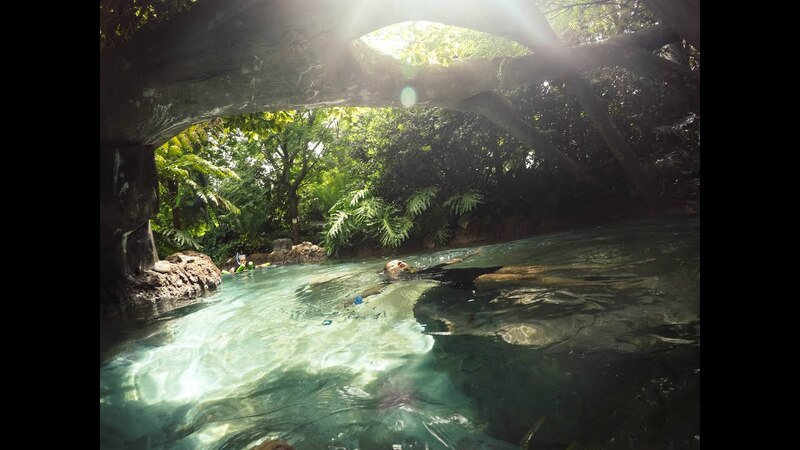 You can walk into a Disney water park and be transported into a completely different world! Definitely my favourite of the Walt Disney World Water Parks. This was a brand-new water park for me when I visited Orlando back in 2015. Whilst it may not be as well themed as the Disney water parks, thrillseekers will love the range of water slides on offer here. From body slides to family fun water slides and two lazy rivers! One is your typical lazy river with floats where as the other one, known as ‘Roa’s Rapids’ is a fast style rapids. I know this water park has expanded a lot since my last visit which makes me even more excited about visiting again when I plan my next trip to Florida. Are you even a Brit if you haven’t been to the UK’s largest indoor water park? Sandcastle is well known for being the best water park in the UK, and it’s obvious as to why. It’s huge. There’s lots of a slides including a master blaster and the interesting half pipe style water slide, Sidewinder – it’s so great, especially when you go down backwards! Due to its sheer size, there is so much to do that you could spend way more than a couple of hours here – the slides here are more than enough to keep you entertained. What better way to represent a water park in Disney, in Florida, than with a crocodile/alligator trying to ride the wave on skis. It’s so random but so apt for a Disney. Creativity at its finest in my opinion. 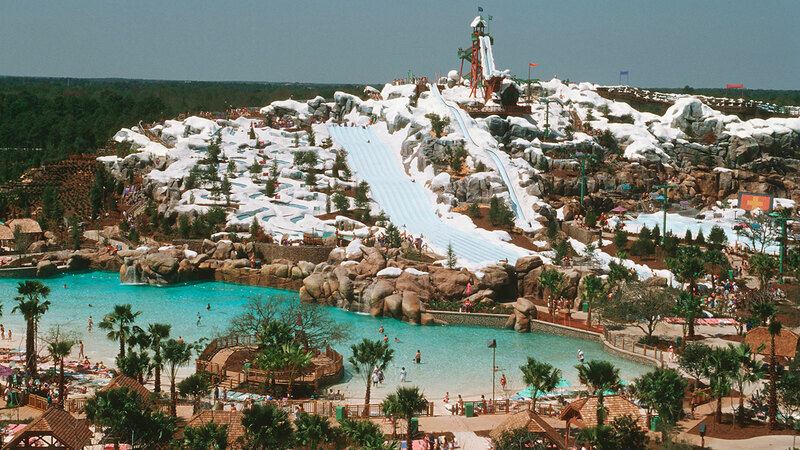 I do find Blizzard Beach visually stunning – from the fake snow around the park to the ski style lifts taking you to the top of Mount Gushmore and the ski slope peak of Summit Plummit. Trust me, the first time you look at this ride, you are going to be thinking ‘what the bloody hell is up with that slide? ?’ I do rate Typhoon Lagoon higher than Blizzard Beach but that doesn’t mean to say I don’t like the park. It has plenty of fun slides (body slides, racing slides, family slides etc. ), places to chill out as well as some cool, relaxing rapids. Taking you back to the UK now, and a water park that is fun for all the family. Yes, it is not a massive water park but what Alton Towers waterpark has is enough for a good couple of hours of fun. The bucket as part of the Wacky Waterworks area is possibly the highlight of this place – even if you are an adult. The Master Blaster is a pretty fun slide that winds all around the water park, with a photo opportunity at the bottom – personally not sure this works well as half the time in my experience, I come out backwards. Let’s not forget the ‘racing’ style slides too: Rush ‘n’ Rampage as well as the outdoor pool area with the ‘Flash Floods’ slides. If you think about it, there is plenty to keep you entertained for a morning or afternoon – especially if you are staying on resort! As a southerner, you will know this water park very well. I certainly remember having some great times here as a kid. There’s so many cool slides to explore here with a range of intensities for thrillseekers and those who are less adventurous. Thrillseekers can enjoy The Screamer, Velocity, Baron’s Revenge, Infinity, Zambezi Drop and Dragon’s Lair. There’s so much to do here that it is a perfect option for an afternoon out with a few friends. I’ve combined all of these into one as I seriously recommend this to anyone who visits Center Parcs. It is part of your stay with no extra money required to use the facilities. There’s fab slides including Tropical Cyclone, travel down on a float with 3 other people into a funnel – just watch out for the water splash which may get you in the face if you’re not careful. Each swimming complex is different at each Center Parcs Village but all have the same facilities from a fun wave pool, rapids, children’s splash pool area and at some places, a nice relaxing jacuzzi pool. This is a short list – probably because I haven’t really focused too much on visiting water parks, but that doesn’t mean to say that I won’t visit them more regularly. When the weather is hot and sunny, a water park is just as good a day out as a theme park. 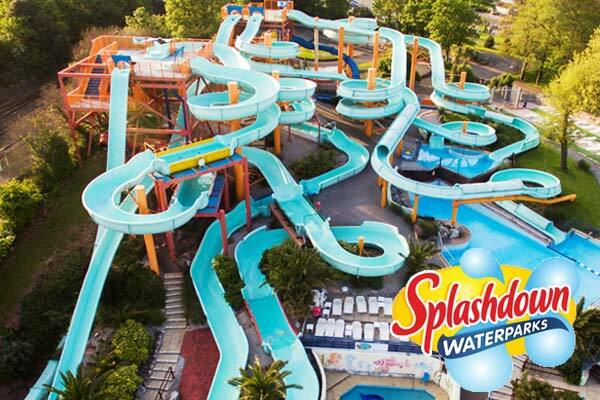 Coming up soon on the blog, I will be writing a ‘small’ wish list of water parks I really want to visit. What are your favourites? Are there any I should make a visit too? Let me know in the comments below.